Unit 2 adheres chiefly to the traditional narrative of U.S. history, moving from the First Party System through national development before ending with “Manifest Destiny”—a euphemism for colonialism that has long overstayed its welcome yet remains at home here. Unit 2 of American Vision explores “The Young Republic” between 1789 and 1850. Its four chapters adhere chiefly to the traditional narrative of U.S. history, moving from the First Party System through national development before ending with “Manifest Destiny”—a euphemism for colonialism that has long overstayed its welcome yet remains at home here. This unit succeeds in its presentation of the judicial branch and laudable attempt to eschew “Great Man” history. It fails in its disparate organization and marginalization of slavery. This review will deal principally with these two critiques. This conflict between Anglo-Tejanos and the Mexican government over slavery is downplayed in the main text. Courtesy of McGraw-Hill. American Vision conceptualizes the early national period as distinct from the antebellum period. The reader gets little sense of the extent to which slavery was central to the national project—particularly with regard to U.S. colonialism. While the sin of omission is certainly at play here, the bigger problem is that of segregation: slavery is treated discretely in the chapter on “Growth and Division,” as is abolitionism in the chapter on reform. In both cases, the implied message is that slavery was a self-contained problem, and thus could not possibly have been the principal driver of growth, division, or reform in early U.S. history. In other sections, details about slavery are hidden among inserts and extras rather than stated in the body of the text. While it is not particularly egregious to omit the presence of slaves from a discussion of the Lewis and Clark expedition (169-170, 174-175), it is inappropriate to hide the connection between slavery and the Texas Revolution in a timeline (264-267). At one point the textbook’s attempt to return agency to African Americans crosses into the absurd when it manages to identify a black slaveholder by name in a section that names zero white slaveholders (208). We live in a world that is too quick to dismiss the specific historical injustices that African Americans endure as tragedies of the past rather than challenges of the present. By identifying a black female slaveholder by name in a small section on U.S. slavery, American Vision manages to suggest that all people were responsible for propagating the institution while letting the white upper-class men who dominated the practice take comfort in historical anonymity. While I believe this was an honest mistake, it is an incredibly sloppy one; no discussion of slaveholding should mention Cecee McCarty before Stephen Duncan. Distribution of the enslaved population in the United States, 1863. Courtesy of Son of the South. Looking past these limitations, I was pleasantly surprised to see a section entitled “The Hispanic Southwest” in the chapter on U.S. colonialism. The presentation of Mexico as an independent nation whose history is inextricably tied with that of the United States is a welcome change in a unit that otherwise struggles with its conceptualization of America. For example, the timelines introducing each chapter err in separating U.S. history from world history, generating inconsistency in the process. What makes Indian removal an event in U.S. history and the Amistad revolt an incident in world history (220)? This unit offers no answer. This unit succeeds in its presentation of the judicial branch and laudable attempt to eschew “Great Man” history. It fails in its disparate organization and marginalization of slavery. American Vision offers a fine overview of the first six decades of U.S. history. Yet by confining slavery (sometimes literally) to the margins, it fails to make sufficient connections between sections. For too long the U.S. public has rested comfortably in the knowledge that slavery was a blemish on the American past rather than its lifeblood. We must ask ourselves if Thomas Jefferson would have had the time or means to draft the Declaration of Independence without the financial independence that slave labor afforded him, or if “Manifest Destiny” would have been realized without slaveholders vying to settle their bondspeople on stolen and fertile western lands. Hopefully future editions will clarify that the line between the inspiring and the tragic has always been porous. Baptist, Edward E. The Half Has Never Been Told: Slavery and the Making of American Capitalism. New York: Basic Books, 2016. Bender, Thomas. A Nation among Nations: America’s Place in World History. New York: Hill and Wang, 2006. Karp, Matthew. This Vast Southern Empire: Slaveholders at the Helm of American Foreign Policy. Cambridge, MA: Harvard University Press, 2016. Rothman, Adam. 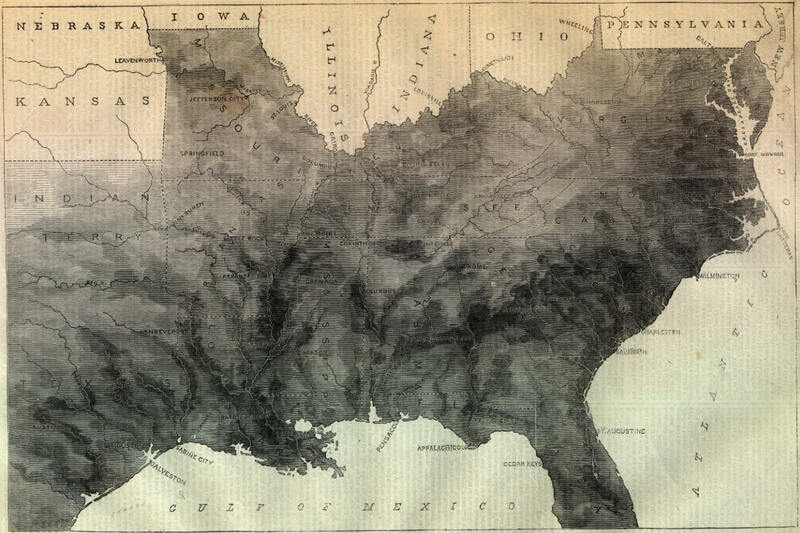 Slave Country: American Expansion and the Origins of the Deep South. Cambridge, MA: Harvard University Press, 2007.